The Stone Roses were at the forefront of the explosive “Madchester” music scene in the late ’80s and early ’90s. Their 1989 eponymous debut album is consistently hailed as one of the most important and influential of the decade and has a spot on many “greatest of all-time” lists. The band — which hasn’t released a new album since 1994 — first broke up in 1996 but continued to win fans thanks in no small part to enduring adoration from critics and media. This led to a 2011 reunion, touring and garnering the high profile headliner spot at this year’s Coachella Music Festival. 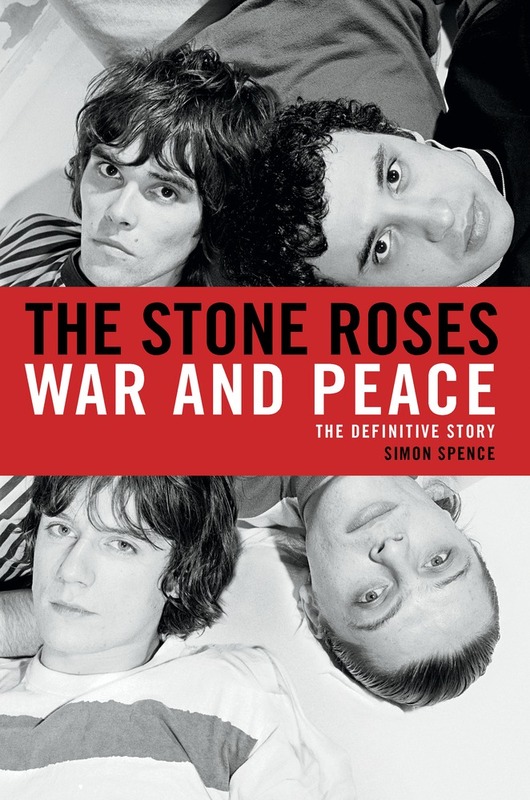 Though the Stone Roses’ early days in the Manchester’s ’80s post-Mod, post-Punk, pre-Whatever Scooterboy scene are well known, the bandmates discuss them in detail in Simon Spence’s new book, “The Stone Roses: War and Peace.” A lengthy excerpt on music blog Pop Matters contains a number of juicy tidbits for music fans and scooterists alike, recounting some of their youthful hooliganism, with some great descriptions of their rides. [Stone Roses frontman Ian] Brown had five or six scooters, including two real head-turners. The first was a Vespa Rally 200, originally dark metallic blue and red, which featured the slogan ‘Angels with Dirty Faces’ on one side of the rear wheel panel after the 1978 Sham 69 single, and on the other side ‘Stormtroopers in Sta Prest’, inspired by the track by underground Oi! band The Last Resort. 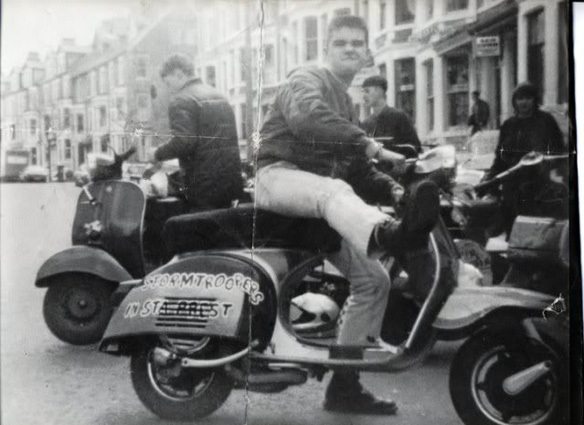 Other scooters mentioned include Brown’s Lambretta chopper, bassist Gary “Mani” Mounfield’s Vespa 90 and guitarist John Squire’s Lambretta GP 125, which featured splatter painted rims, the style of which became a Stone Roses trademark. A new Stone Roses album is expected… sometime. “Mani” Mounfield on the January 2000 cover of Scootering magazine. Sydney, Australia newspaper The Telegraph reports today that local police and health care workers are concerned about what the headline cites as “acts of scooter stupidity.” The behavior in question: not wearing proper riding gear.